I had called my dive buddies Mark K. & Debbie Z. earlier in the week to see if they might be diving this weekend. They have deserted me for Cozumel. Well, can you blame them? So I headed down to the beach anyway to see if I would meet someone to dive with. If not, I would get out on my kayak. Met up with Steve G. and Mark P. and a couple of others. 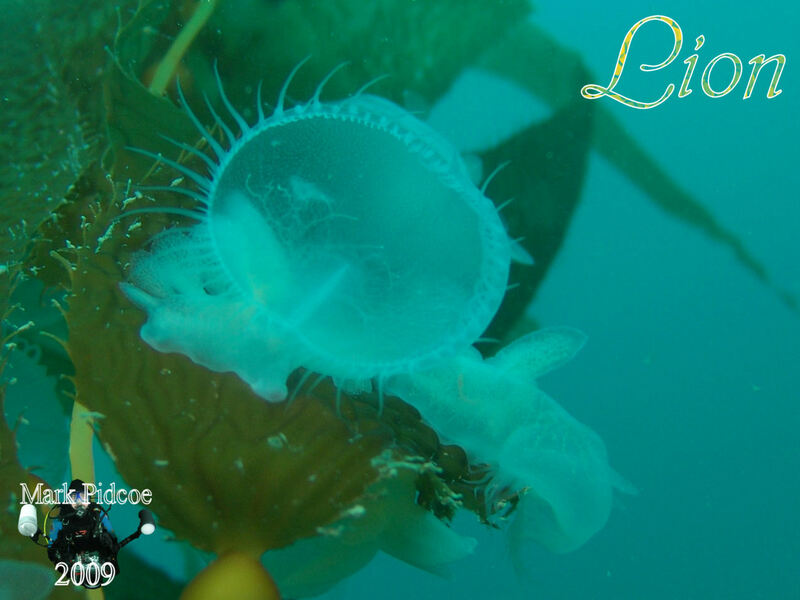 They were going on Safari to see the Lion Nudibranchs that have been hanging out on the kelp growing out on the points. Steve and Mark did not mind if I tagged along. We descended onto the wall in about 60 feet. Swam a short distance to find the outcropping of sandstone that is supporting the small kelp grove. 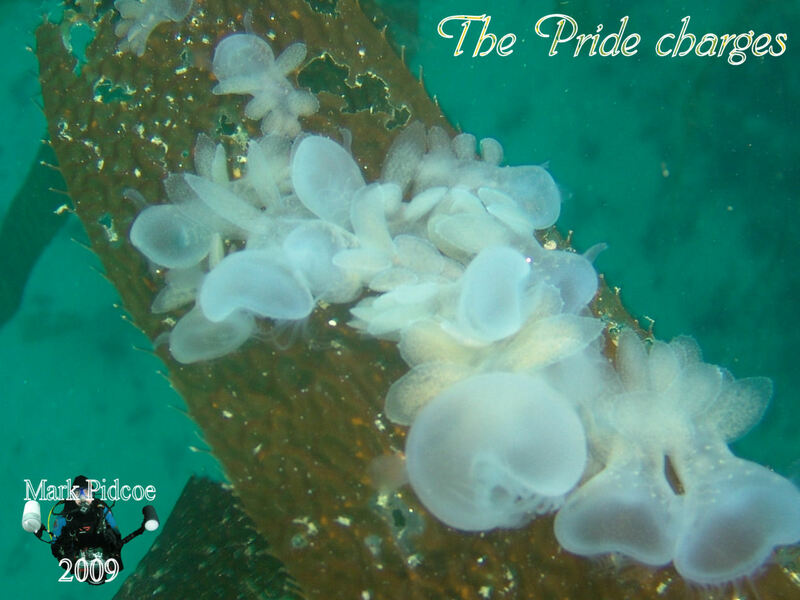 Found a multitude of the Lion Nudibranchs. Spent the whole dive checking out these fascinating creatures while Steve and Mark photographed them. A few were knocked from the kelp. Since I was not doing video I rescued those that were drifting about. I would catch them on my glove and let them adhere. Then I would take them to the kelp and gently transfer them over.